Do you love to shop online? Do you use Amazon.com? Yes, us too! But did you know that your purchases could help LMBO with NO EXTRA COST TO YOU?? THERE WE ARE, RIGHT ON TOP! 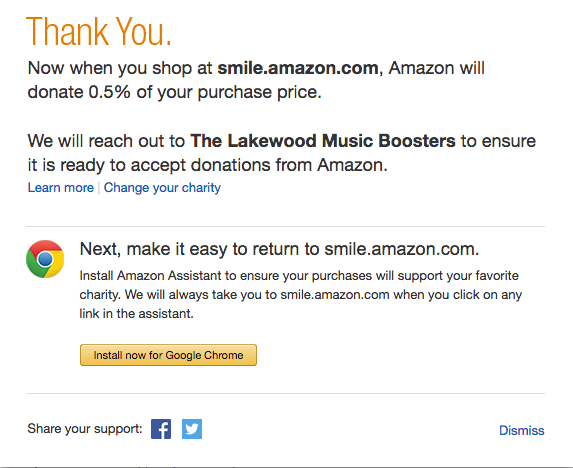 Then, each time you want to shop on Amazon, just click the Amazon Smile icon in your shortcuts. 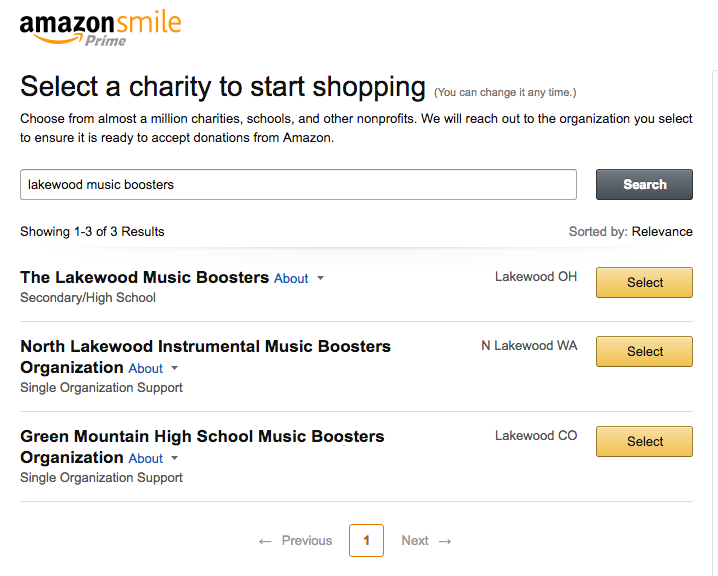 Every time you purchase, .5% will come back to the Lakewood Music Boosters to support our student musicians!! It’s a wonderful win-win. No extra cost to you, and extra funds for our students. Please sign up today! !